"May the fourth be with you! 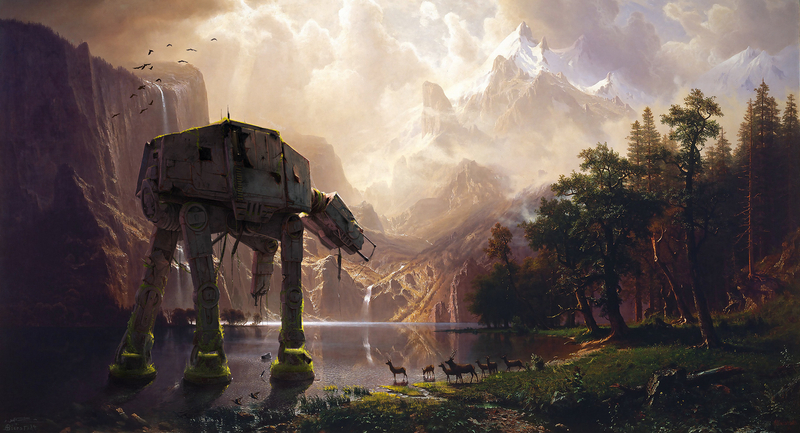 I did only paint the AT-AT Walker in Photoshop, not the whole Landscape! 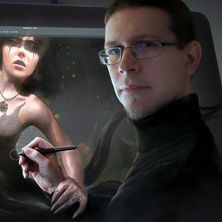 Actually the intention behind this is to learn from the old masters. In this experience of hand-painted inceptionism, the 35 hours of painting felt like a holiday. I can only recommend trying that out. Additionally this was a nice way to practice light and color. My aim was to make the walker to be believable in the situation, as if it was meant to be there and part of the original painting.